If you are trying to reduce detractors, focus on making shopping easy. When the goal is to increase promoters, focus on making shopping more enjoyable. Either approach will raise your overall NPS, but the tactics are very different. Let’s quick review the evidence and how some retailers are implementing each approach. What exactly is the relationship between retail customer experience and the bottom line? Download our ebook to learn more! If your goal for 2018 is to raise the proportion of promoters at your company, we encourage you to look carefully at opportunities to increase the emotional connection with your consumers. Why? Enjoyability shows a stronger relationship with being a promoter. Customers who found a transaction enjoyable were 20% more likely to be promoters. Forrester Research independently came to a similar conclusion in research earlier this year on their CX Index. There are many ways to make an interaction more enjoyable and foster the emotional connection between your brand and consumers. 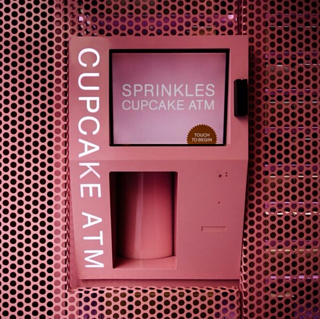 Perhaps adding something fun and unexpected like the Popsicle Hotline at the Magic Castle Hotel or the Sprinkles cupcake ATM. More retailers are also listening carefully customer feedback for opportunities to add new enjoyable experiences. Toys R Us and Target have both held toy presentations for parents to bring some happiness back into the often stressful process of finding the perfect toy. Customers of Tom’s Shoes wanted a way to see the good they were doing through the company’s Buy One, Give One program, and so Tom’s installed VR in their stores to see the program in action in Peru. If your goal is to decrease the proportion of detractors, we recommend focusing on different drivers. Detractors often perceive their basic needs are not being met, as can be seen in the data from Centriam’s 2017 Retail Study. 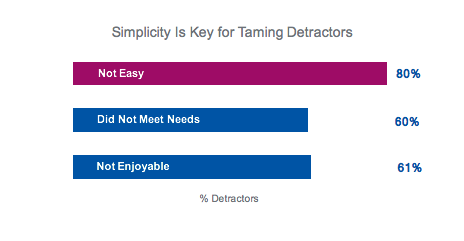 Those who describe their shopping trip as not easy are over 30% more likely to be detractors. Long lines, poor user interfaces, and inventory struggles all contribute to a difficult retail experience. Amazon has rolled out a series of technologies to make shopping easier; such as one-click ordering online, Prime to reduce worry over shipping costs, one button ordering with Dash, Prime Now for same day delivery and voice purchasing with Alexa. Regardless of your approach—increasing promoters or decreasing detractors—you will be building a more profitable customer base. Customers that are less price sensitive and more likely to keep purchasing. Centriam’s 2017 Retail Study investigated the connection between customer experience and the bottom line. It confirmed that investing in customer experience is important. The results also identified a simple opportunity for retailers to improve. Our first white paper based on this research—How to Drive Retail Sales: Ask Your Customers—is available here.